The hyperloop mode uses technology in which a vehicle in a special tunnel floats above the track, using magnetic levitation, at a top speed of over 1,000 km per hour. Virgin Hyperloop One on Thursday signed a Memorandum of Understanding (MoU) with the Karnataka Urban Development Department (KUDD) and the Maharashtra government to identify potential routes to improve mobility in both the states and connect high growth cities. The hyperloop mode uses technology in which a vehicle in a special tunnel floats above the track, using magnetic levitation, at a top speed of over 1,000 km per hour. 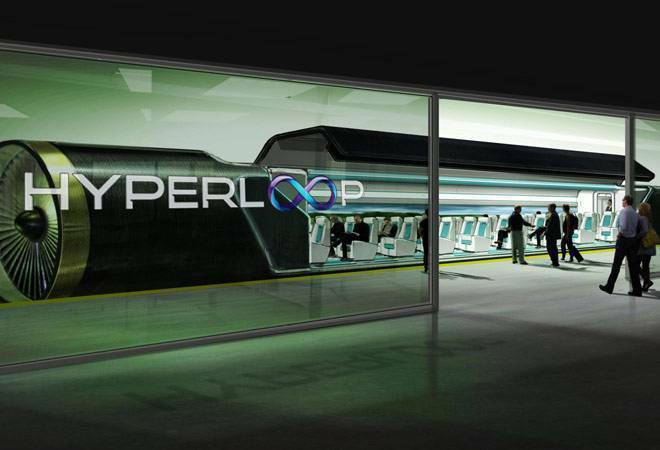 Besides Karnataka and Maharashtra, the company will also study the hyperloop possibility in Andhra Pradesh. The company would work with partners in these states and help navigate the regulatory requirements. The preliminary study is intended to analyse the applicability and benefits of hyperloop technology, identifying high priority routes in these states, and inform the state governments on the project viability. "Bengaluru has been the IT hubs of the country, and all major tech giants have been functioning out of the regions. The introduction of a technology like hyperloop will further add to the pace at which the state wants to grow," said Priyank Karghe, ITBT and tourism, Karnataka. Maharashtra Chief Minister Devendra Fadnavis said: "A hyperloop route requires high-density traffic to become viable as a means of rapid public transit. "Mumbai and Pune, the most and seventh most populous cities in India respectively, have the potential to provide an optimal route with a high density." By reducing travel time to under 20 minutes, a hyperloop route will help intensify the connectivity between the metropolitan regions of Pune and Mumbai, transforming the two cities into India's first and largest Megapolis, he added. The company claims the Virgin Hyperloop One technology was successfully tested at its test track in the Nevada desert in the US this summer. The company is working on similar projects in the UAE, the US, Canada, Finland and the Netherlands. "We recognise the vital role of technology in larger initiatives like that of Digital India, and we strongly believe that Virgin Hyperloop One can be a strong addition to this initiative," said Nick Earle, SVP Global Field Operations, Virgin Hyperloop One. "India is one of the most important geographies for developing hyperloop networks and reimagining the complete transportation system. With this preliminary study, we are excited to initiate the buildup of a strong foothold that we foresee in future throughout the state," he added. Embracing disruptive innovations like hyperloop will improve connectivity and accessibility to enable transportation within major cities. In the project comes to fruition, the network could create the largest connected urban area in the world by linking over 75 million people across Karnataka, Maharashtra, and Andhra Pradesh. Moody's upgrades India's rating: A lasting win for Modi government or is it too early to celebrate?